Vacuum high pressure gas quenching refers to the hardenability materials of working die steels, high speed steels and alloy steels, which are heated to the critical temperature Ac3 or Ac1 after being loaded into the chamber of the vacuum furnace to achieve the specified vacuum degree, and then heated for a period of time according to the technological requirements, and then quickly filled with high-pressure emotional gas (He, Ar) or non-active gas N2 or other mixed gases, reaching the prescribed pressure (10bar, 20bar, etc.) in the chamber. At the same time, the high-power fan is opened to drive the heat-resistant fan, which can sweep the high-temperature hot workpiece at high speed. 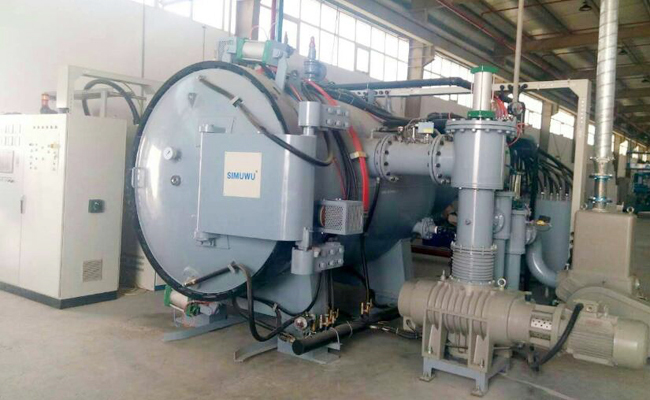 After the heat transfer and cooling of the hot air through the special heat exchanger, the cold air is blown again to sweep the workpiece, and finally a heat treatment process of martensite quenching structure is obtained. Tool steel, die steel, high-speed steel, ultra-high strength steel. Workpiece surface quality is good, no oxidation, no carburization, no alloy element depletion. The hardening uniformity is good and the workpiece deformation is small. The cooling speed can be controlled. The cooling speed can be controlled by changing the inflatable pressure and flow direction, and the fan speed (frequency conversion). It can approach isothermal quenching in ideal condition. The whole process is pollution-free and exhaust gas-free. The gas-quenched workpiece does not need to be cleaned twice. It is efficient, energy-saving and environmentally friendly. Cooling gas pressure, air volume and air speed during quenching. Quenching gas pressure: general pressure increases, cooling rate increases, pressure increases to 40 bar, close to the cooling rate in static oil. Quenching gas flow rate: Increasing gas flow rate is conducive to increasing cooling rate and heat transfer capacity. Quenching gas velocity: The faster the quenching gas velocity, the more heat exchange times, the faster the speed. 1. Furnace body is vertical, single chamber and bottom charging, especially suitable for long rod workpiece. 2. Variable direction cooling technology can be used for both longitudinal jet cooling and 360-circumference cooling. 3. Bottom furnace door] The lifting transmission mechanism adopts ball screw, which moves in a straight line, is not easy to jam, and has protective jacket to prevent dust pollution. 4. The lifting bracket is equipped with an automatic balance correction mechanism to automatically eliminate the accumulated error of the lifting system. Rise and fall smoothly without vibration. 1. By modular design, the furnace temperature uniformity and cooling uniformity are good. 2. 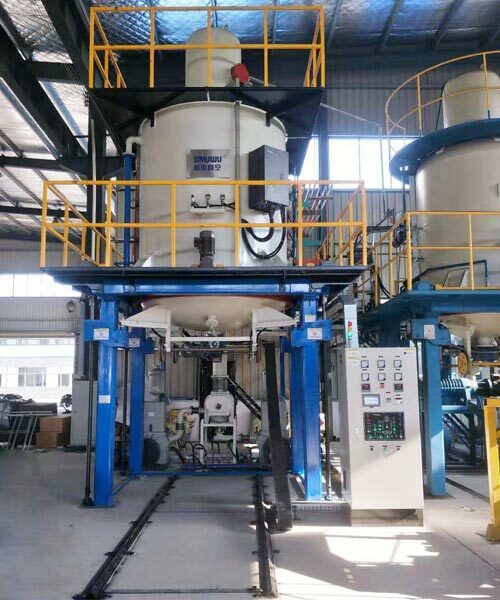 According to the actual processing parts, the rear suction air quenching cycle system or the front suction air quenching cycle system can be selected. 3. Depending on the different cooling speed requirements of parts, single heat exchanger and two-stage or even multi-stage heat exchanger can be selected. 4. Unique two-stage heat exchanger, the heat transfer area is twice as large as the conventional one.